Explainers videos can be excellent tools for letting the audience know how a particular application or software functions, alongside its features and benefits. These short audio-visuals can grab any viewer’s attention instantly, explaining the complex concepts of software or online apps more simply. This type of videos, in turn, help enhance your brand reputation and build customer loyalty. Asana created this 2D animated video explaining how Timeline can aid in project management. 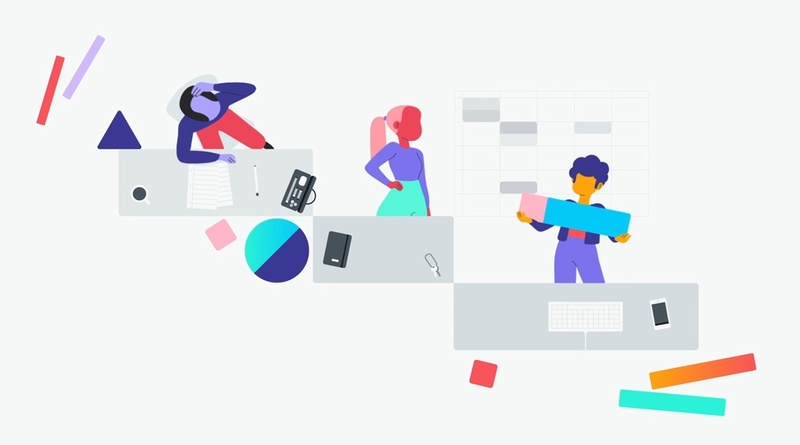 The characters working as a team demonstrate how Asana’s Timeline can streamline projects, meet deadlines, bring changes and make a venture easy to execute and achieve success. The video clearly elaborates how Timeline can bring transparency to the system. Canadian Pharmacy World came up with a fun and exciting video having a mix of 2.5D and 3D animated contents. The prime objective was to explain how the company’s website functions and how customers can place their orders, followed by the benefits they can enjoy. Undoubtedly, the video has tasted huge success amongst their target audience by grabbing their attention in a few seconds. ‘Doctors in Italy’ is another animated video asking the English-speaking doctors in Italy to join this mission of forming their largest association. Various characters depict the need of medication for travellers in Italy and how easy English-speaking doctors can cater to these international patients. It also elaborates accessibility to schedule, patient requests, etc. via an online platform. A unique trading platform based in Canada, Bunz has recently launched their new cryptocurrency, BTZ especially for the members of this community. As more than 150,000 people are into this online barter community, what can be better than a video to help them understand BTZ? Well, using the 2D animation style has proved to be quite appealing to their audience. SLACK – What Is Slack? Slack decided to go for a stop motion explainer video making it as simpler as possible to understand the utility of the cloud-based tools and services. With minimal geometric shapes, the video explains how Slack can reduce miscommunication and increase transparency among team members. This animated video created by Cricket Australia comes with sketches and colourful illustrations. Its primary objective is to explain how users can connect with the most important websites and apps of Australian Cricket. Most importantly, it hooks the enthusiasts with its attractive and easy-to-digest content. The international payment service provider’s animated video elaborates on the benefits of their services and how it functions. The makers have created a smooth series of iconographic characters with tricky transitions, aptly connecting with the viewer’s psychology. The search engine giant is not behind either! Google’s explainer video contains illustrations, 2D and 3D animations detailing with the G Suite and its functionalities. AirSwap being a Bitcoin trading platform considered explainer videos to describe its functionality and benefits in trading tokens. As this style of video contains constant movements, it is quite engaging and apt for demonstrating the concept of cryptocurrency and blockchain. ONO went ahead with a very dynamic and colorful animated video depicting the fast-paced modern world involved in blockchain. The video demonstrates the benefits of using ONO with a welcoming approach to join the largest decentralized social network of the world. Well, these were the top 10 explainer videos of software and online applications which have successfully grabbed the attention of their respective target audience. If you too have a product launch or any other business plan on your bucket-list, try investing in an impactful video this time. He is responsible for the art directions as well as overseeing the progress and development of each production to make sure all projects are delivered flawlessly.